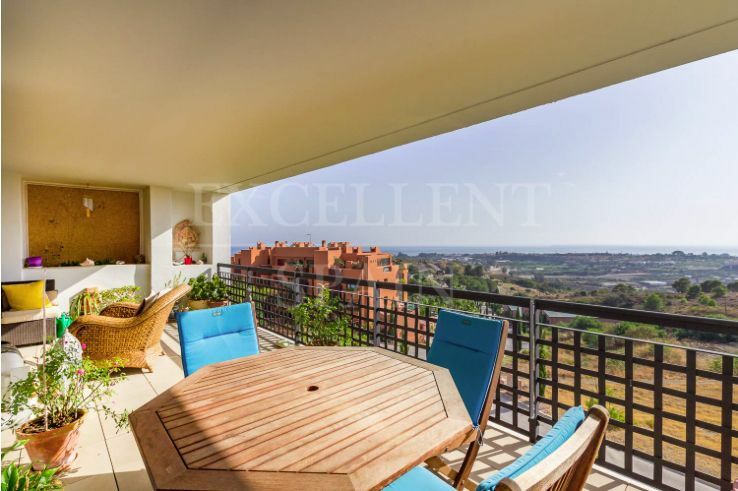 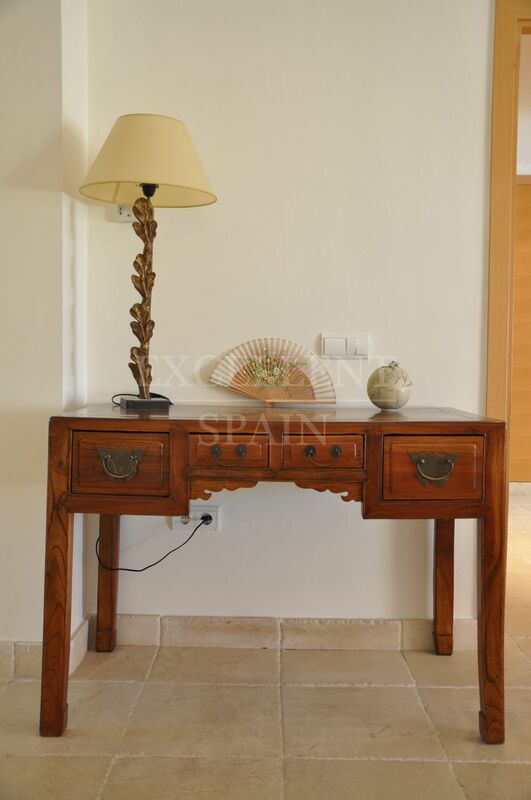 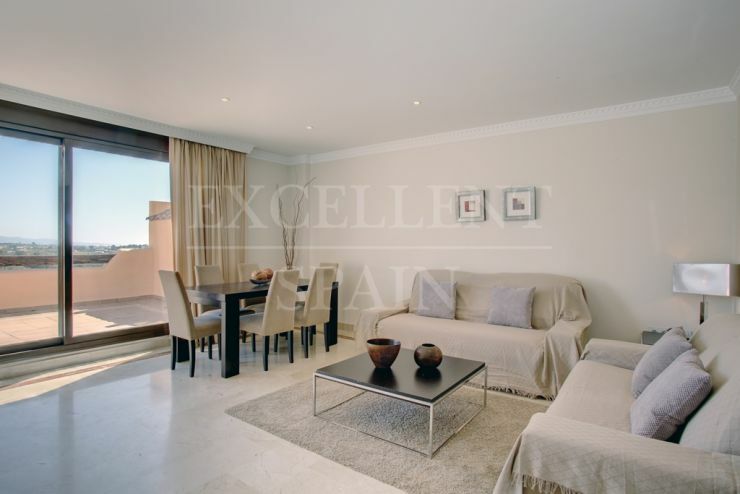 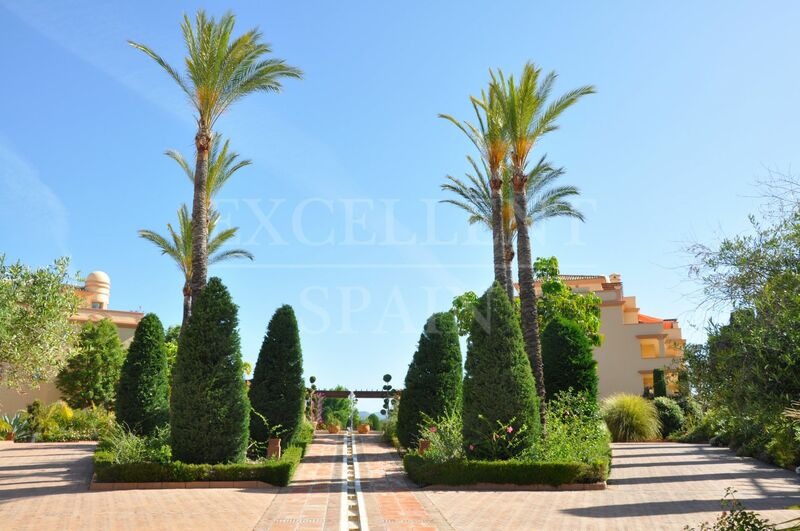 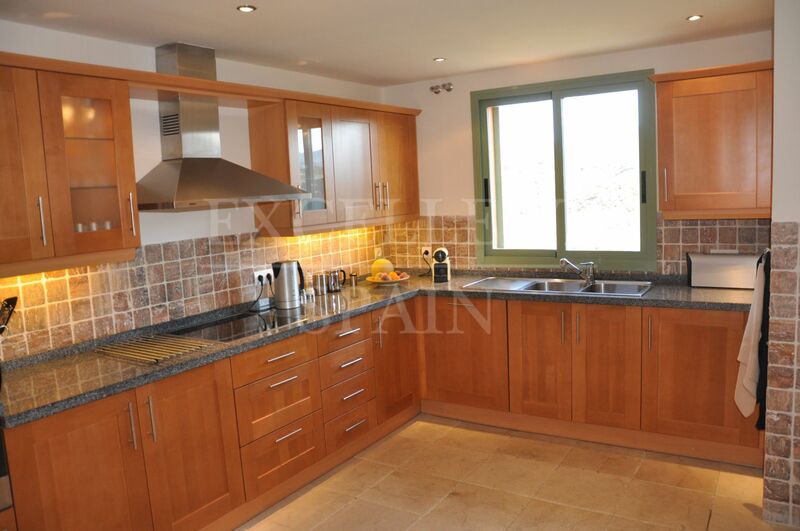 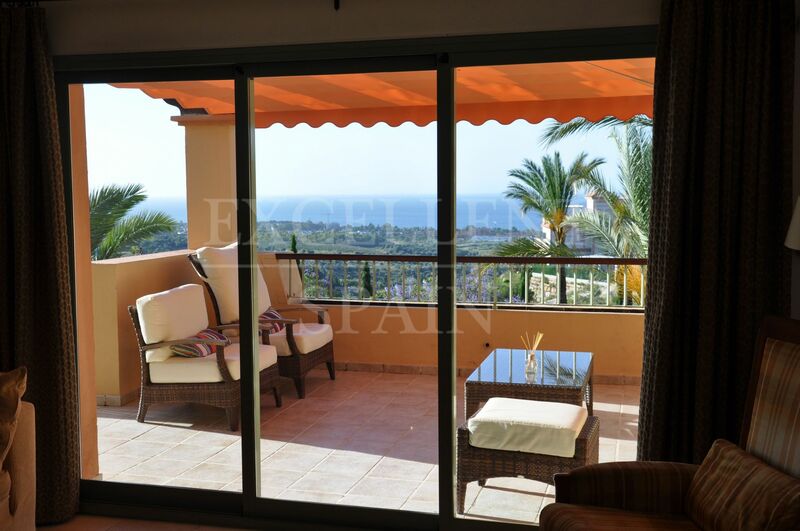 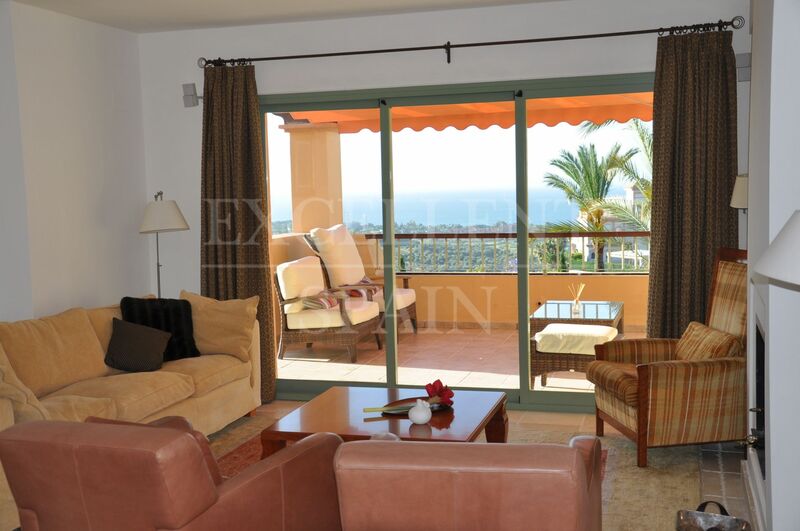 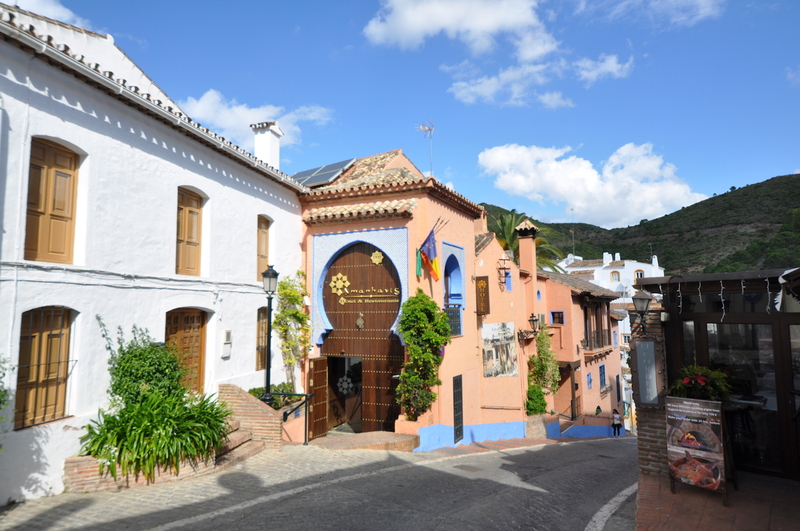 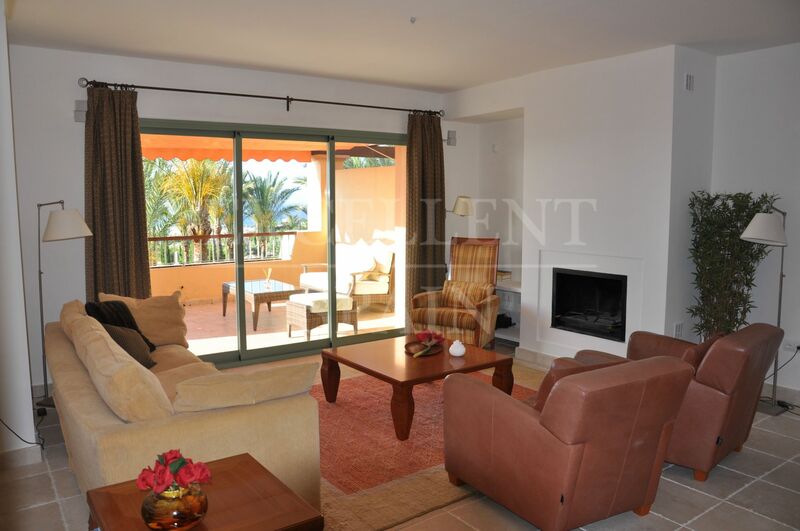 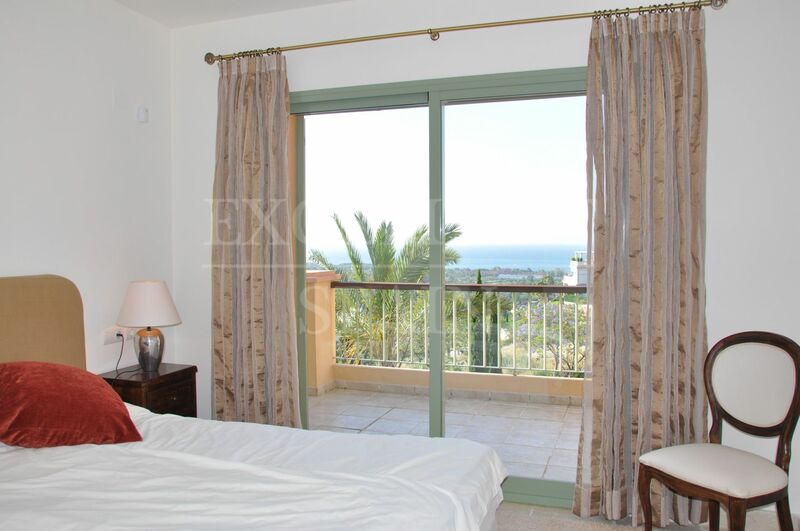 Great duplex penthouse for sale in the gated urbanisation Four Seasons within the Los Flamingos Golf resort, Benahavis. 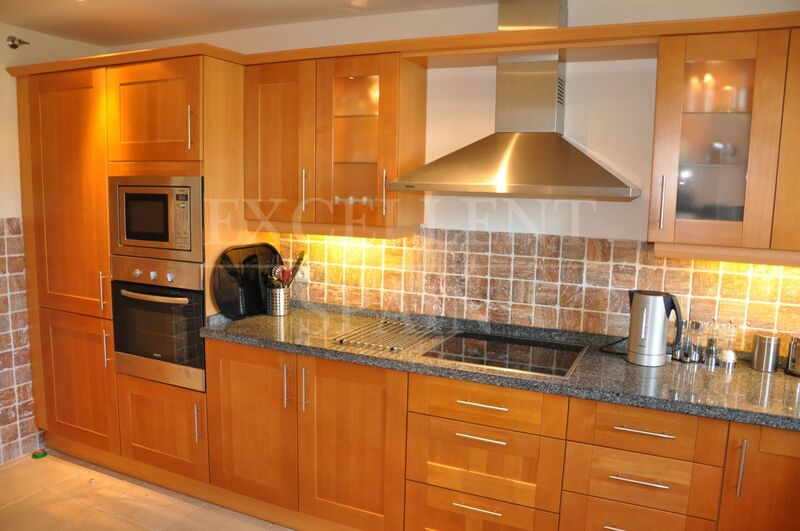 The property can be reached by an elevator from the underground parking. 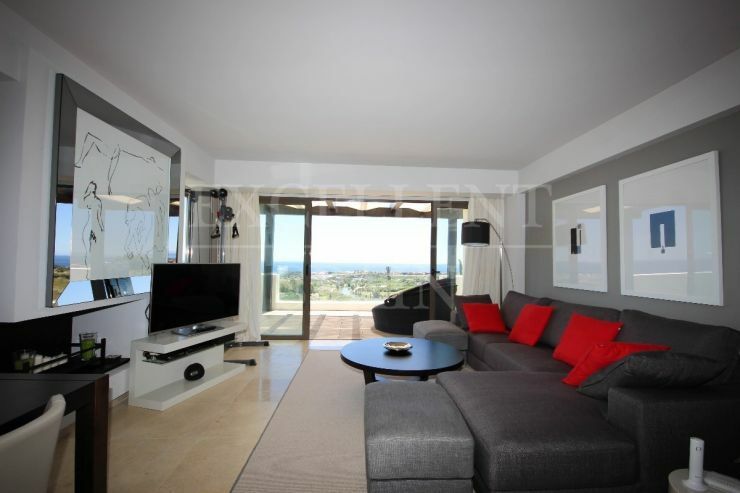 On the main floor the penthouse offers an entrance hall with large storage space, fully fitted kitchen with room for a large dining table, living-dining room with access to the terrace, bedroom with en-suite bathroom and a second bedroom with a separate bathroom. 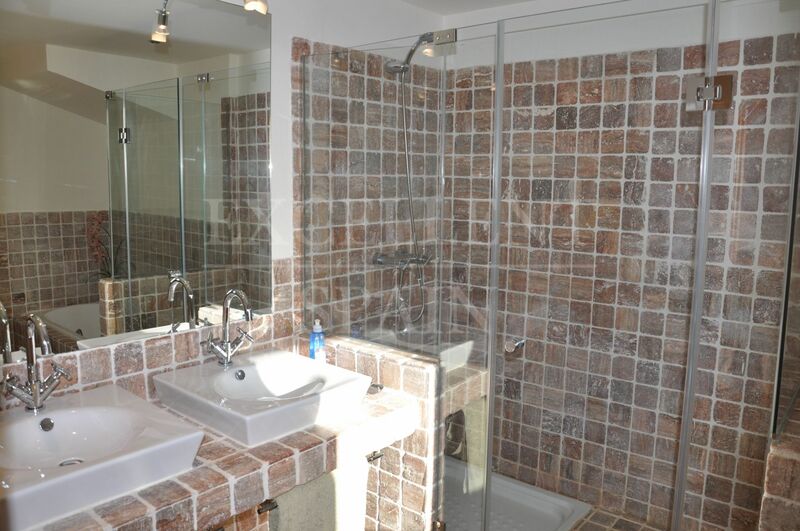 On the upper floor is the large master suite with spacious bathroom with Jacuzzi, shower and sauna. 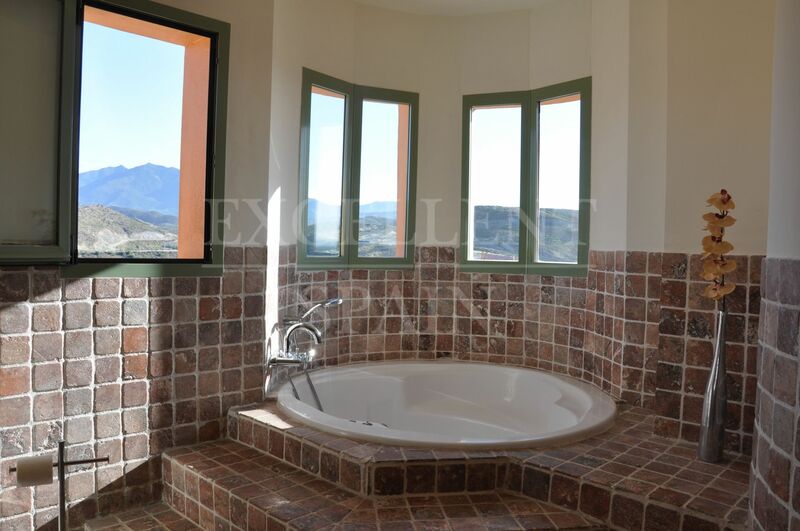 Furthermore there is a solarium. 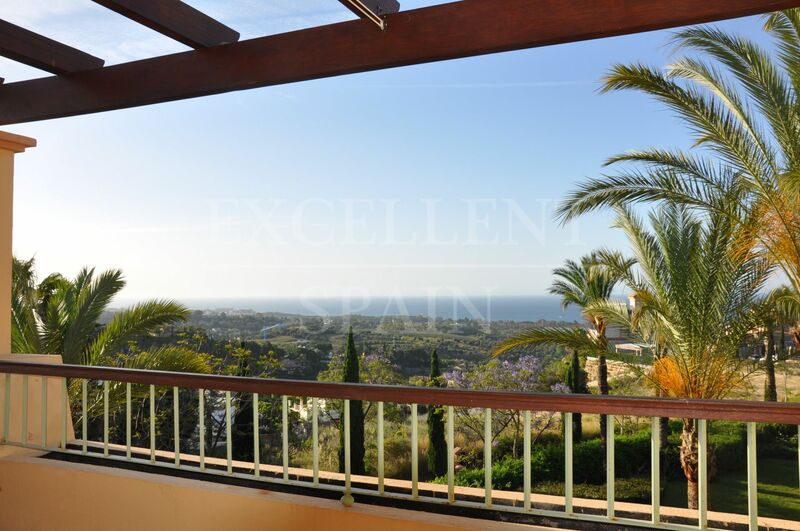 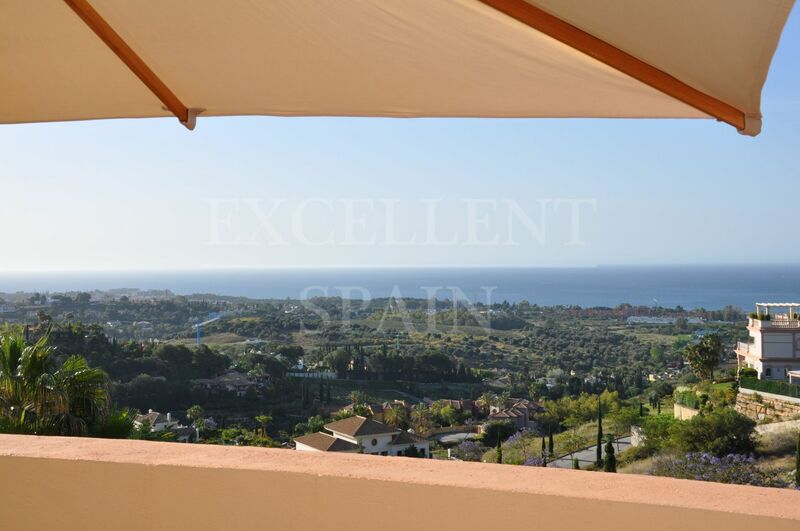 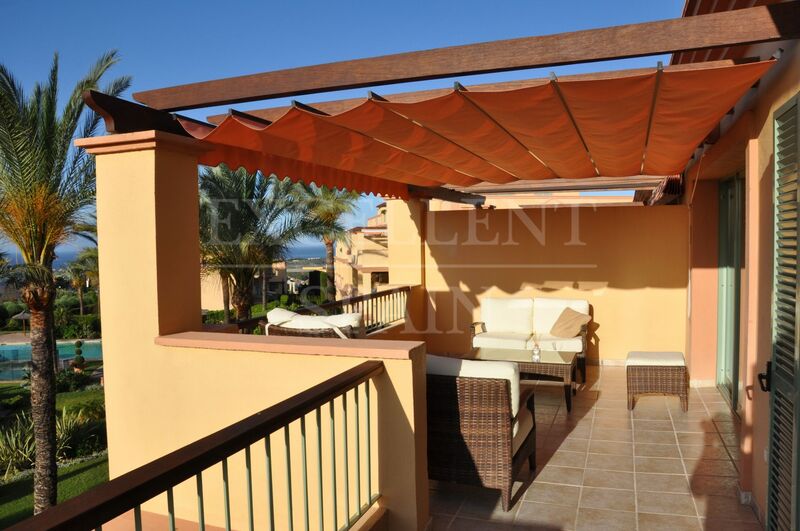 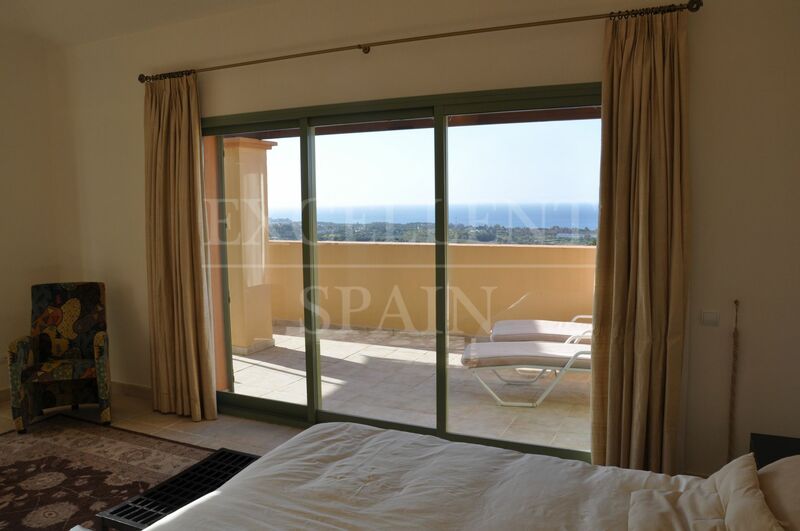 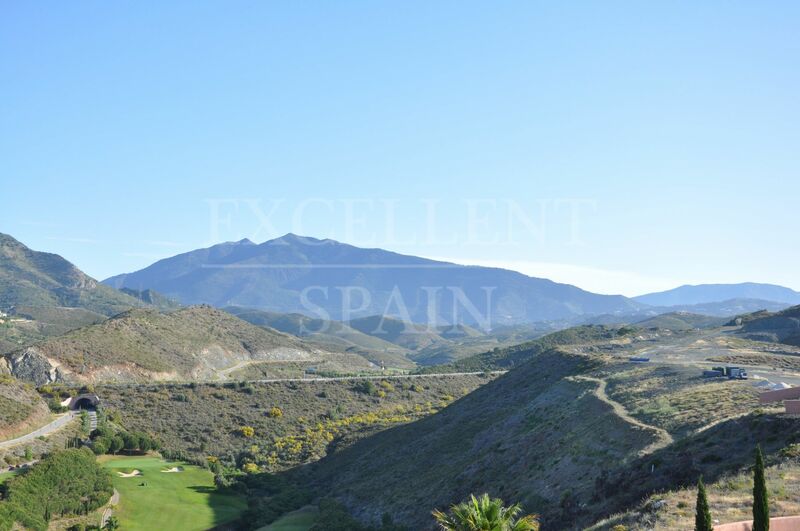 The property features panoramic views towards the sea, golf and mountains. 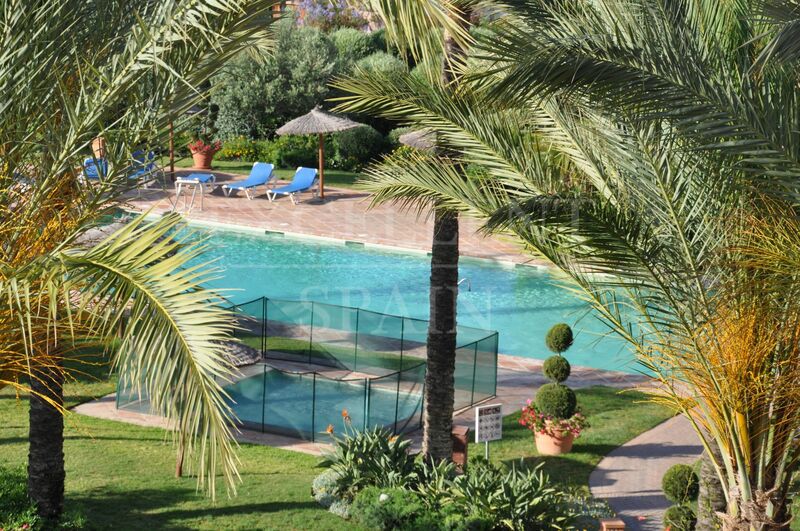 Four Seasons offers 24-hour security and has two large outdoor swimming pools, one of them heated in the fall and spring. 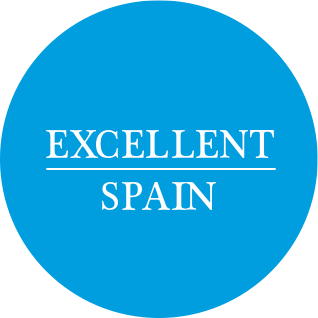 Fiber glass internet available. 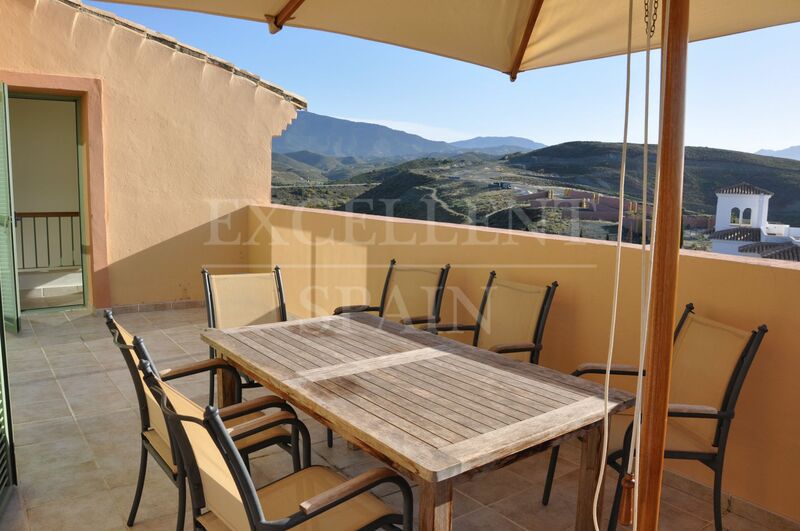 Great property if you are looking for privacy, tranquility, space, great panoramic views and easy access to amenities. 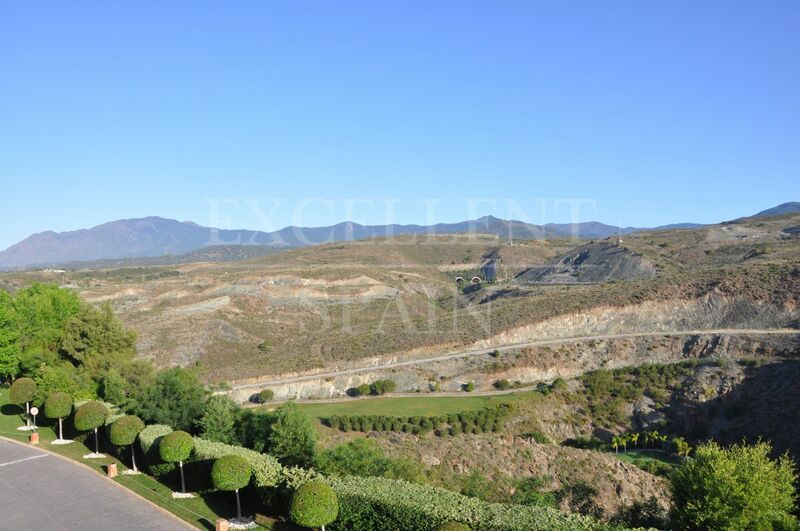 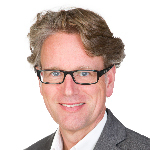 Yes, I am interested in ref 222-01250P, or similar, please contact me.